Content which is engaging, relevant, purposeful and that will build on prior knowledge and that will be consistent with current ways of knowing and be applicable to everyday problem-solving. Effective support in managing transitions between schooling/learning contexts;. People and institutions who keep “a finger on the pulse” of all students at all times. Progress is monitored, opportunities are made available, and extra support is facilitated, where required. motivate and inspire learners to become (embody) the role of readers and writers. The goal is to foster learners with robust language systems who are equipped with the habits of mind for comprehension and composition with an awareness of how literacy serves as a mediating tool in real-world practices. Even though we have identified that literacy development requires explicit instruction on linguistic elements, progressive practice in comprehension and composition, and rich opportunities in authentic reading and writing practices, this does not mean that the instructional dilemma has been resolved. First, literacy is a notation which requires a significant amount of control over the linguistic system. As Maryanne Wolf (2008) would say, the more fluent one becomes, the more cognitive space is made for higher order processes in reading (e.g. comprehension). The learner takes time to be able to develop the confidence to extract meaning from the written word. Wolf (2008) is quick to remind us that fluency provides the cognitive space for comprehension but this does not guarantee that the learner will make the leap to making meaning independently. 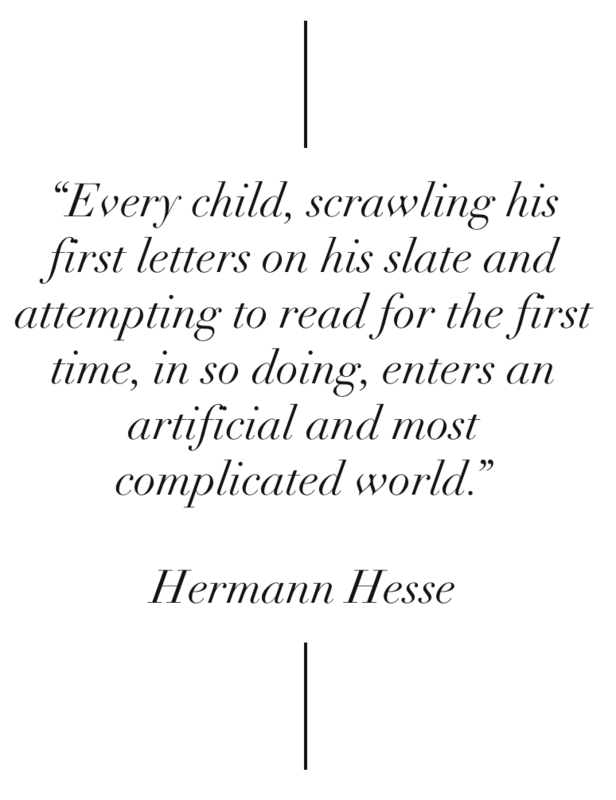 Learning to read requires one to develop the habits of the mind that enables the learner to concentrate, visualise, process and get the gist of the text. Reading is serious exercise for the brain, and the act of reading is the subject of the imagination and of the will. We must acknowledges that learners need considerable help to paint the pictures that are encoded in the squiggles that appear on the page. If we refer to the diagram to the left, we will see the significant range of cognitive activities that a reader must be encouraged to engage in to draw connections, pursues conclusions, and seek clarity. In these cases, learning to read is embedded in certain practices - the things we do in the great hurly burly of life. "The pupil must want to go on alone in taking language to the world, and that what is said must be worth saying, have a point (warning, informing, amusing, promising, questioning, chastising, counting, insisting, beseeching, and so on) ... If it is part of teaching to undertake to validate these measures of interest, then it would be quite as if teaching must, as it were, undertake to show a reason for speaking at all.” (Cavell, 2005, pg 115) I think of terms like "intention", "expectation", and "purpose". “Following a rule, making a report, giving an order, and so on, are customs, uses, practices or institutions. They presuppose a human society, and our form of life.” (Phillips, 1977, p 36) . It is this concept of language games that brings the final piece of the puzzle: acquiring the literacies (and numeracies) requires an understanding of literacy as part of authentic, real world practices. A balanced pedagogy requires the following: (a) regular, explicit instruction in linguistic features, (b) time spent on strengthening comprehension, and (c) embedding this development in authentic practices so that the learners are developing a repertoire of linguistics practices. Phillips, D. (1977). Wittgenstein and scientific knowledge. London: MacMillan Press. Wittgenstein, L. (1967) Zettel. Edited by G.E.M. Anscombe and G.H. von Wright. Berkeley: University of California Press.